Phryne Fisher's fifth mystery intrigues with excitement, glamour, murder, dance halls and blackmail. 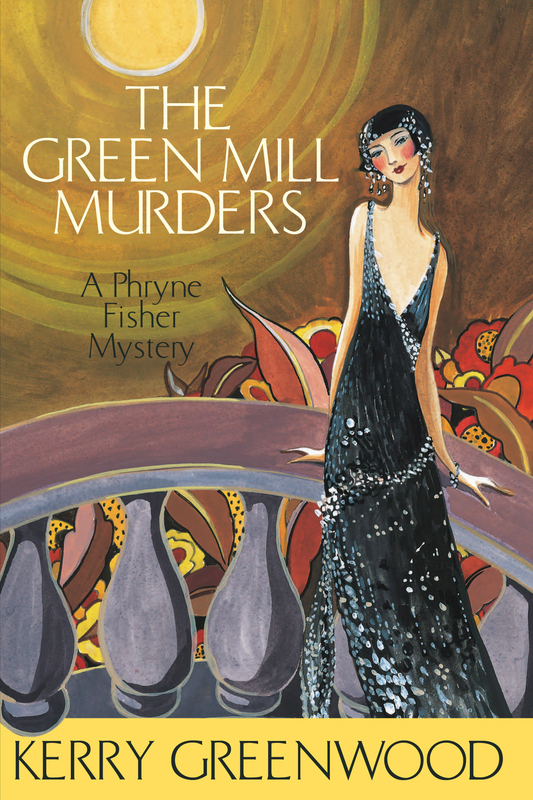 Dancing divinely through the murder and mayhem of her fifth adventure, the elegant Phryne Fisher remains unflappable. Gorgeous in her sparkling lobelia-coloured georgette dress, delighted by her dancing skill, pleased with her partner and warmed by the admiring regard of the banjo player, Miss Phryne Fisher had thought of tonight as a promising evening at the hottest dancehall in town, the Green Mill. But that was before death broke in. In jazz-mad 1920s Melbourne, Phryne finds there are hidden perils in dancing the night away like murder, blackmail and young men who vanish. Phryne Fisher's fifth adventure leads to smoke-filled clubs, a dashingly handsome band leader, some fancy flying indeed across the Australian Alps and a most unexpected tryst with a gentle stranger. Kerry Greenwood is the author of twenty-seven novels and the editor of two collections. Previous novels in the Phryne Fisher series are Cocaine Blues, Flying too High, Murder on the Ballarat Train, Blood and Circuses, Death on the Victoria Dock, Ruddy Gore, Urn Burial, Raisins and Almonds, Death Before Wicket, Away with the Fairies, Murder in Montparnasse, The Castlemaine Murders and Queen of the Flowers. She is also the author of several books for young adults and the Delphic Women series. When she is not writing she is an advocate in Magistrates' Court for the Legal Aid Commission. She is not married, has no children and lives with a registered Wizard.